Let us tell you how Peggy Martin and her community find renewal through this resilient rose. Cascades of pink blossoms cover this striking plant. Katrina took almost everything from Peggy Martin. Her parents, Rosalie and Pivon Dupuy, fell victim to the storm. The hurricane roared over Plaquemines Parish, flooding everything in the Phoenix, Louisiana, home where Peggy and her husband, M.J., had raised their two sons. The saltwater poured over the levees and rose up over 20 feet, covering everything for more than two weeks. Peggy's parents had purchased the 12 acres of land as a fishing camp back in the 1950s, but it eventually became home to this close-knit extended family. For a fisherman like Pivon and a gardener like Peggy, it was heaven. Ancient live oaks, draped in Spanish moss, spread their branches over the land like great arms protecting the earth. The air was perfumed by citrus groves nearby, and the warm waters were alive with fish, shrimp, and oysters. And it was here that Peggy had planted a beautiful garden filled with old roses-- 450 of them. Their fragrance, she said, reminded her of her grandmother's garden, and she freely shared cuttings with friends and neighbors. Of all her beautiful roses, only one would survive Hurricane Katrina--and it would play a role in bringing back the gardens of the coast. When the waters finally receded and Peggy and M.J. returned, their house was crushed. M.J.'s shrimpboat was gone. Where the garden had been, they found mud and blackened stems. But then Peggy spied something incredible--a bit of green growth coming back on a rose she had planted by the shed. She remembers that day so vividly: "When I realized it was still alive, I thought 'My God, how did this live through the storm? Did God do this for me because so much was gone?' 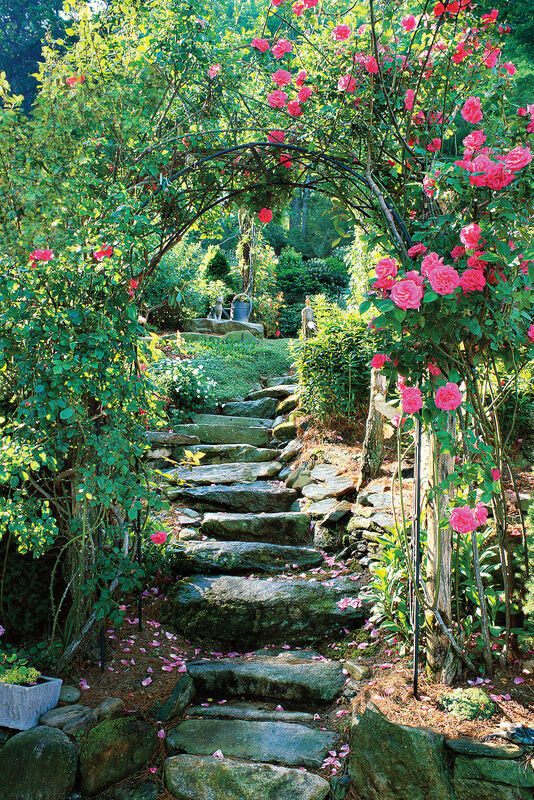 "
That rose, the one Katrina couldn't take, is an 18-year-old thornless rambler with long arching canes and showy pink flowers. It came to Peggy as a pass-along cutting from a friend who had received it the same way. That cutting came from a garden in New Orleans. Neither Peggy nor any other of the members of the New Orleans Old Garden Rose Society could ever pin down its name. Even so, she continued to pass it on to her friends. 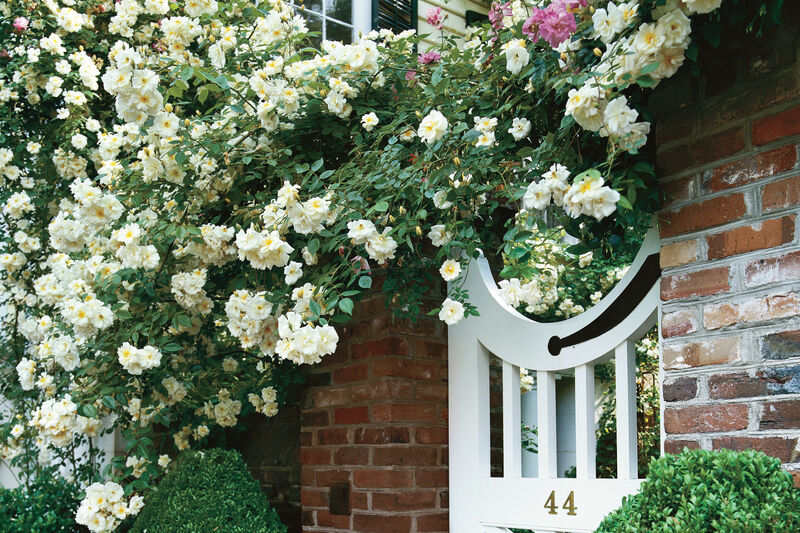 It's a big rose that needs room to breathe, and after a few years, when it settles into your garden, it just can't quit blooming--heavily in the spring, sporadically during summer, and again in the fall. Its long canes root when they touch the ground, so it's powerful enough to hold back a slope--or encourage a gardener. One of those friends who received the rose was Dr. Bill Welch, a rosarian and horticulturist at Texas A&M University. After Katrina, an idea struck him in the middle of the night. 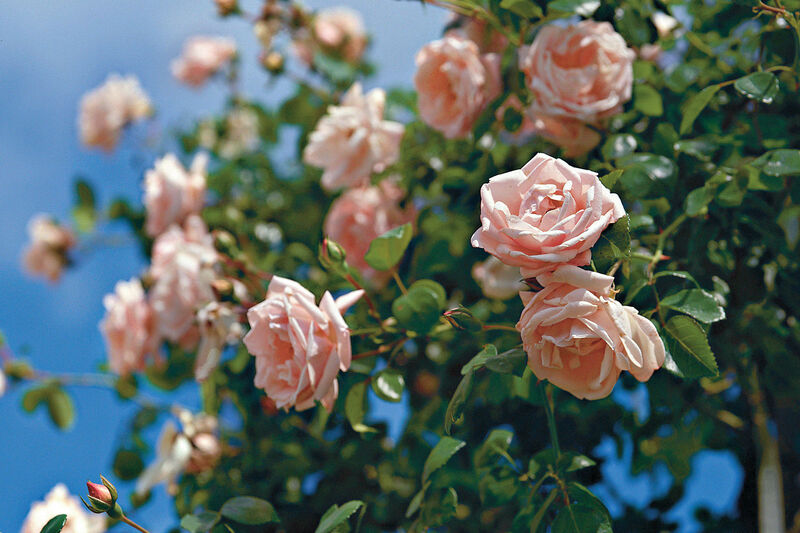 The 'Peggy Martin' rose, the one that outlasted the storm, could be used to raise money to restore gardens on the ravaged Gulf Coast. He took his idea to some friends at the Greater Houston Community Foundation, which now manages the fund. Peggy takes comfort in knowing that her rose is helping bring back the beautiful gardens of her coast. Even more, she says, it's a fitting way to remember her parents, two "beautiful, sweet people" whose memory she'll cherish always. The following mail-order nurseries are selling the 'Peggy Martin' rose and have agreed to donate $1 per plant sold to the Peggy Martin Survivor Rose Fund managed by the Greater Houston Community Foundation. The money raised will go to rebuild greenspaces along the Texas, Louisiana, and Mississippi coast. 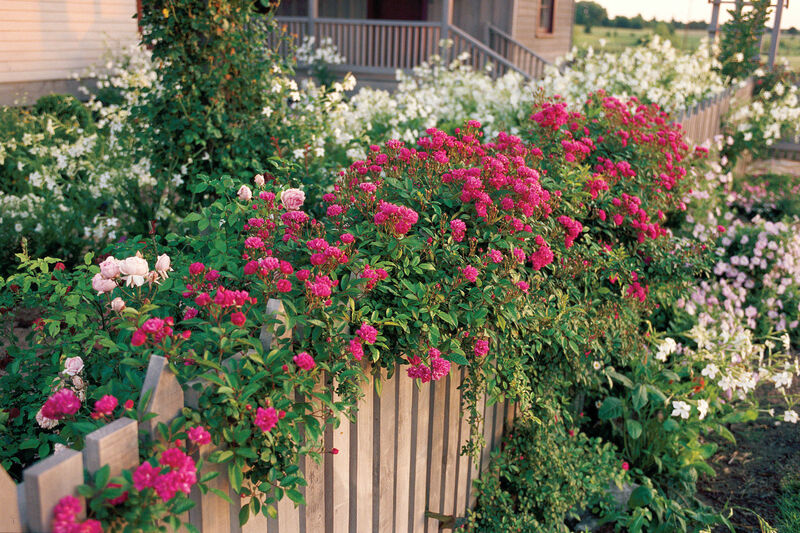 "The Rose That Survived Katrina" is from the September 2007 issue of Southern Living.